MOORESVILLE, N.C. (Feb. 8, 2019) — The last two seasons, JR Motorsports rode a rookie driver in its No. 9 Chevrolet Camaro SS to the NASCAR Xfinity Series championship. 2019? Wash, rinse and, hopefully…repeat. Dave Elenz, the winningest crew chief in JRM history, is also the first to earn two titles, having led William Byron (2017) and Tyler Reddick (2018) to the championship. Greg Ives was on the box for the 2014 title with Chase Elliott, who also happened to be a rookie. 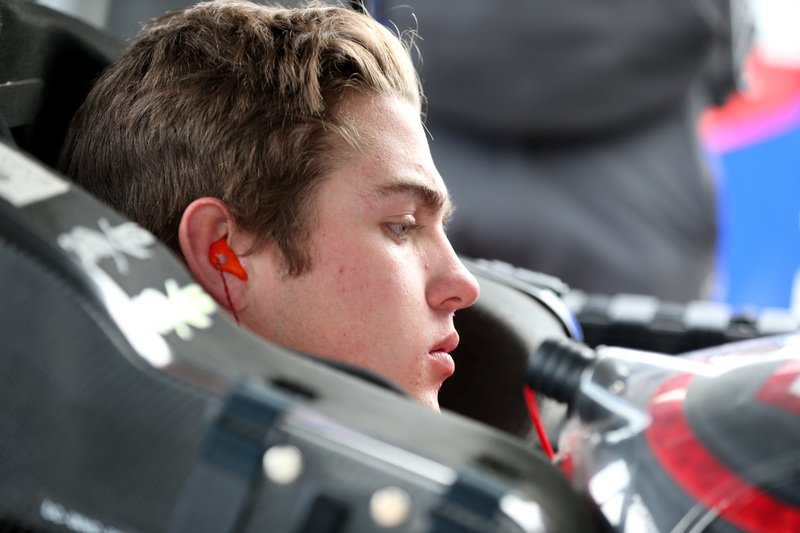 Elenz, for the third straight season, will have a rookie as his driver in Noah Gragson, the 20-year-old Las Vegas native who competed for the NASCAR Gander Outdoors Truck Series championship last year. While some have dubbed Elenz the “Rookie Whisperer,” the Michigan native says it’s all about the process. Gragson takes over for Reddick in the seat, and inherits veteran spotter Earl Barban, who was on the tower for Byron and Reddick the past two seasons. That’s a ton of experience for the young driver to have at his disposal, and it likely explains at least a part of the success Elenz has had in guiding his young chargers to the Promised Land at Homestead-Miami Speedway. IT’S ALL ABOUT THE PROCESS: There is no best way to win championships. Winning it however you do it is, by definition, the right way. Elenz has that math down, as evidenced by what he’s been able to do the past two seasons with young drivers. What is the magical silver bullet he uses? “It’s just trying to manage expectations,” he said. “Whatever way we talk about it, however we approach the races, we still have the same expectations with all three of them (Byron, Reddick and Gragson), which is to lay a solid foundation throughout the beginning the year, then get ourselves to the point through the summer months where we’re trying to compete for wins and moving forward to a good Playoff season. It really is that simple, Elenz said. At this early stage, that process is in its infancy with Gragson. There is no way, yet, to compare his newest charge to the two previous drivers. YOUTH AND ENTHUSIASM: Gragson is a rising star, for sure, but he has a solid understanding of what he’s facing this year by driving the de facto championship favorite. As for goals, he kept them basic. Not that he wouldn’t take the seven or eight victories, of course…but the devil is in the details. For Elenz, having a third straight rookie means he’s at least well-versed on the getting-to-know-you part of the season. They got a good start on it during the organizational testing period at both Atlanta and Las Vegas. LITTLE BIT OF CHANGE: Elenz has been able to keep his team together for the most part, retaining car chief Cory Shea and mechanics Jared Hewitt and Jacob Schauf. The biggest loss for Elenz was race engineer Brandon McSwain, who went down the road to HMS on the No. 24 car for Byron. Josh Graham, the tire specialist last season, has moved to the No. 8 car this season. Phillip Bell, who was with Elenz in 2017, returns to the No. 9 this season as lead engineer. Cal Stewart, a new addition from Hendrick, moves into Graham’s slot. FUEL TO THE FIRE: Gragson knows there will be plenty of eyeballs on him this year, as the heir apparent to a title-winning legacy. Working with Elenz provides the young driver with some additional ammunition, he said. “I don’t think there’s a lot of pressure working with Dave, coming off two championships,” Gragson said. “Some people would say those are big shoes to fill; I think it gives me added opportunity, motivation and fuel to the fire because I know that I have an opportunity in great equipment and with a great crew chief to get the job done. That fuels me even more to maybe do one more rep in the gym, watch one more race tape and just go the extra mile. NEED VS. WANT: Elenz is cerebral enough to see that there’s a difference between needing to do something and wanting to do something, and it is part of his program. LONG TIME GONE: One thing Gragson has to face for the first time is the fact that NASCAR Xfinity Series schedule is 10 races longer than the NGOTS schedule he raced last year. Add to it some tracks he’s never raced on before, and it’s going to get hairy at times. Gragson is confident in his team, which is experienced and versed in the ways of the sport. There’s the feeling that he needs to hold up his end of it, too. Luckily, Gragson has the benefit of JRM drivers Justin Allgaier and Michael Annett, who have been everywhere and then some in the series.